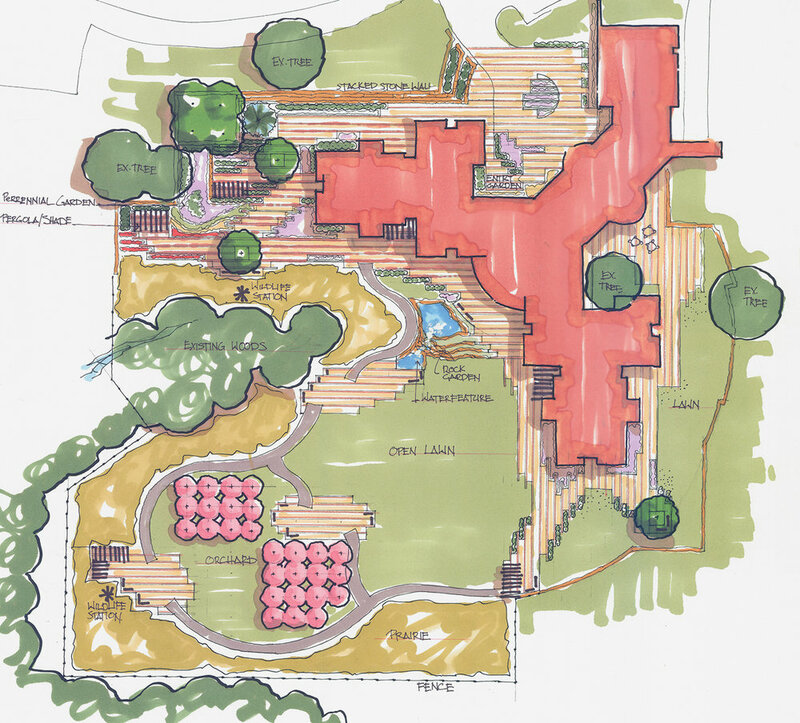 The following is a portfolio of Vireo’s master planning work. We have selected these projects to show diversity in scale, land use type, and graphic representations. We can provide sketches, digital renderings, or 3D models, and we often work with our clients to develop a style that works best for their project. New Longview is a unique development in Lee’s Summit, Missouri on the Longview Farm site. The site is the former country estate of lumber baron R.A Long. In its hay day, it was perhaps the premier horse farm in the country. The New Longview project created a new development plan for the site, incorporating the many existing historic structures into a mixed use traditional neighborhood. 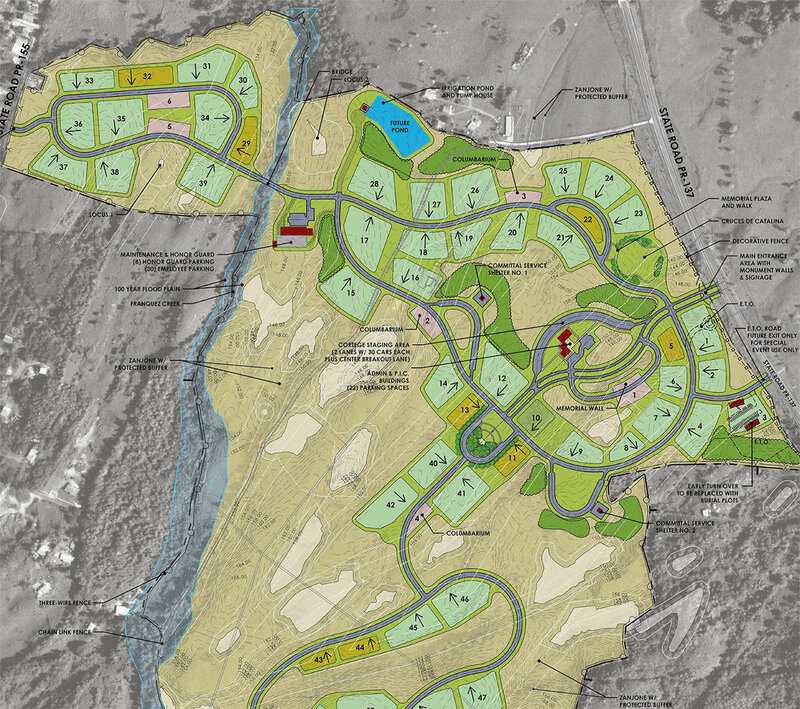 Vireo participated on the planning design team responsible for natural resource preservation, site planning and concept illustration. New Longview represents the first privately developed TND in the Kansas City Metropolitan Area. The plan is currently in the first phases of implementation. One historic structure has been reclaimed as an elementary school, a walkable commercial center is under construction, and a growing number of single family homes complete the realization of the plan. 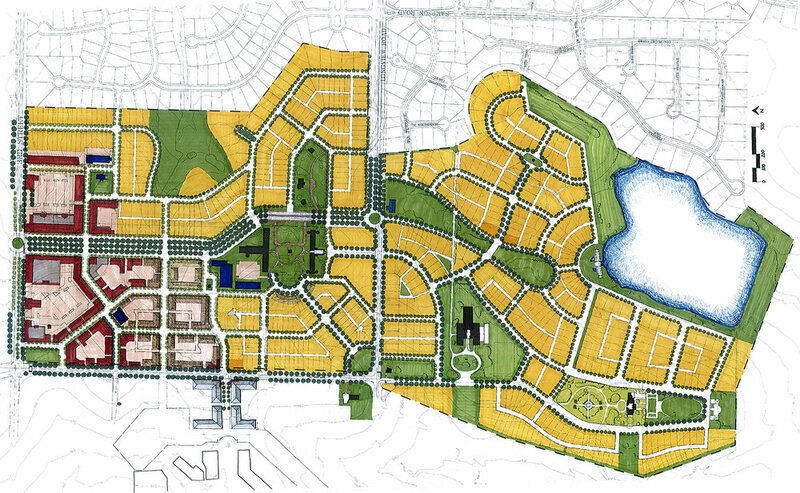 Waterside is one phase of the highly successful Southlake development in Lenexa, Kansas. Vireo was responsible for master planning the 75-acre plus office park, which includes a restaurant site and adaptive reuse of the historic Thompson House. 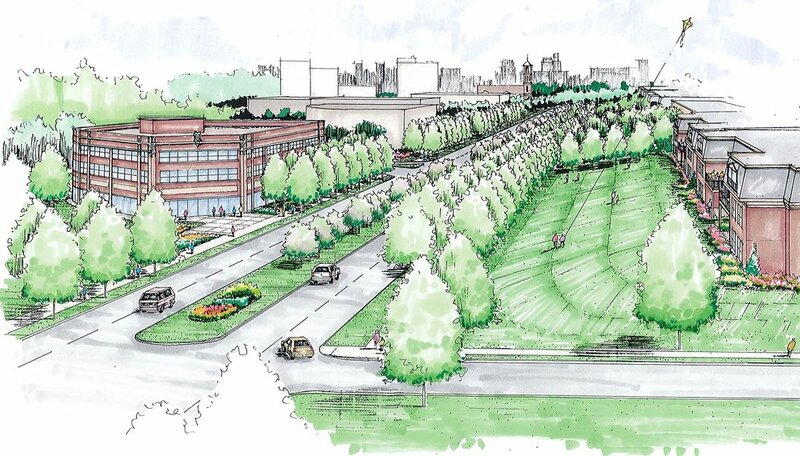 Vireo was also responsible for the overall landscape plan, employee amenity package design, and project coordination through the planning process with the City. Vireo led the planning team for the new Westside Family Church, which included hands on workshops with the staff and parishioners and resulted in the decision to proceed with property acquisition and detailed design. The campus included a large sanctuary, site for a future school, ample parking and preservation of sensitive natural areas. The plan incorporated recreation facilities and outdoor worship space with strong pedestrian connections between the various buildings. It was important to provide for construction in phases, therefore the facilities include a number of interconnected, independent structures rather than a single, large building. A challenge of the project was to meet the variety of needs while keeping the cost of development within a very limited budget. EcoWorks, one phase in the development of the Southlake Technology Park, covers 350,000 square feet. Vireo served as the owner’s representative, project manager and landscape architect for the $50 million development. The new buildings and site components feature environmentally friendly, energy-efficient design. They were the first privately developed structures in the Kansas City Metro Area designed to comply with the LEED™ Green Building Rating System. 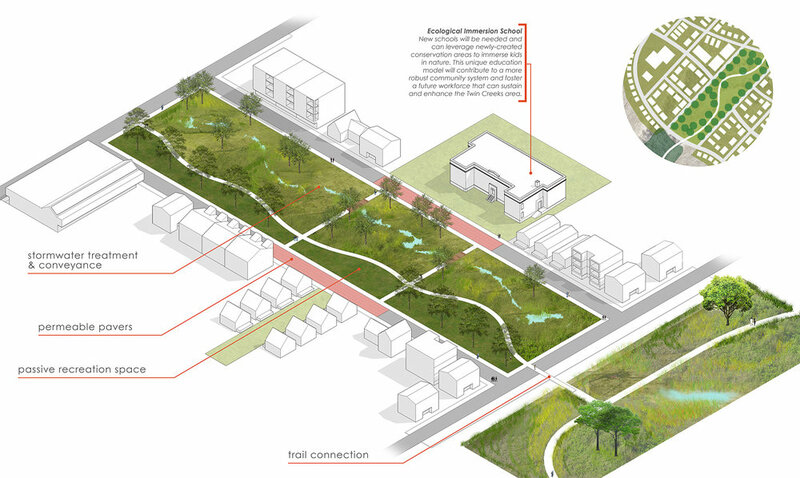 Best Management Practices were used for stormwater management in the landscape design. Runoff from the parking lots is filtered in bio-swales and slowly released into an on-site detention facility. The low-maintenance landscape design includes accents of tall prairie grasses, flowering forbs, buffalo grass sod, and native shrubs. The irrigation system uses water from one of two lakes on site and was designed with mainlines and quick couplers for landscape establishment only. Vireo designed and detailed the entry courtyard, arrival court, lake plaza, sport court, and other hardscape amenities. Click on any of the following images to read more.